The U.S. Supreme Court recently upheld the doctrine of “disparate impact” as it applies to rental housing discrimination cases. Disparate impact applies in cases where the discrimination is unintentional. A policy may appear harmless on its face, but nonetheless unfairly limit some renters’ choices when it comes to housing. There must be a legitimate business reason for such a policy, and no viable alternative. Examples of possible adverse impacts can include higher rent, housing located in higher-crime neighborhoods or a longer commute to work. The Court’s decision has provided fair housing advocates with a means of pursuing claims where the impact is present, but the action was unintentional. Once the claim has been presented, the burden will shift to the landlord to justify the policy, and to prove that there is no less burdensome alternative available. While this rule is not new, its application has come under some scrutiny recently, as in the case before the Supreme Court. City officials were accused of initiating a zoning practice that kept most Section 8 housing in low-income areas that suffered high crime rates, and away from areas populated mostly by more affluent white residents. The Court stopped short of determining whether that policy was discriminatory. That will have to be determined by a lower court. However, the controversy proves that disparate impact cases can be sparked by city ordinances or HOA and condo association rules, as well as by individual property management policies. Disparate impact must be determined on a case-by-case basis, making it more difficult to identify than more blatant forms of discrimination. Now that the Court has ruled, it is imperative for landlords to reflect on the overall affect of many policies and day-to-day decisions. 1. 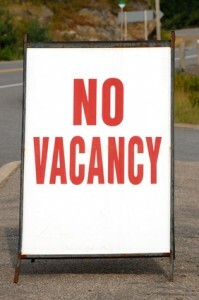 When screening tenants, don’t demand applicants work full-time in order to qualify. That can bar individuals who may have disabilities and are receiving assistance. 2. Occupancy limits can make it hard for families to afford a place to live. The 2-person per bedroom rule may not be advisable if it limits choices for larger families or those with young children. 3. Charging rent based on the number of occupants, which is common with student rentals, can more adversely impact families with children, making housing unaffordable or more burdensome. 4. Crime provisions in lease agreements or house rules should take into account the impact on victims. 5. Some landlords sidestep restrictions on late fees by adding a surcharge to each month’s rent, and then offering that amount back as an “incentive” for on-time rent payments. This practice could result in minority tenants paying higher rent for the same units. In addition to these individual property management policies, landlords should be aware that some city ordinances and HOA or condo association bylaws may be in violation of the Fair Housing Act. Local ordinances or bylaws that restrict occupancy, affect zoning of rental properties so as to limit availability of affordable housing in safer neighborhoods, restrict landlords from renting to tenants with criminal backgrounds, or force eviction if police are called to a rental unit may run afoul of the disparate impact rules. Contact your local fair housing office or your attorney if you have specific questions concerning disparate impact discrimination.